What happens when a mean girl goes a step too far through carelessness, not malevolence, and ends up experiencing a self-imposed penance? Just ask Chelsea Knot, generally regarded as a major blabbermouth who’ll do anything to stay in the good graces of her best friend, Kristin, the ruthless queen bee of the school. She’s not even above the occasional spot of blackmail, to help the cause. But things go horribly wrong when she attends a party and accidentally discovers that one of her classmates, Noah Beckett, is gay. Naturally, she immediately announces the news to Kristin and friends. That same night, Noah and his boyfriend are the subjects of a brutal gay-bashing, courtesy of several jocks, including Kristin’s boyfriend. Racked with guilt, Chelsea immediately tells her parents, who tell the cops. Result: the perpetrators are arrested and expelled. Result: Chelsea is personal non grata with Kristin, and by extension, everyone who wants to stay in the queen of mean’s good graces. From popular girl to outcast. From harmless gossip to snitch. 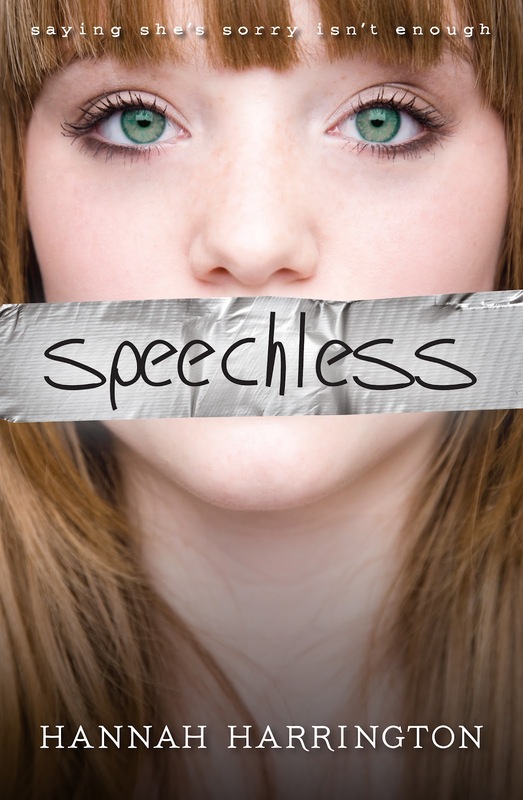 Chelsea decides that since her mouth got her in trouble, it’s time to take speech out of the equation, and she adopts a vow of silence. Her classmates can mock and ignore and pick on her all they want. She’ll keep quiet. Her teachers can give her detention for not participating. She’ll hold her tongue. Her parents can despair. She’ll zip her lips. And thus begins Chelsea’s slow but inevitable redemption, as she’s befriended by the school’s outcasts and loners, the sort of people she’d never even have given the time of day before everything happened. One is Asha, a freshman who seems to take on Chelsea as her own personal project, part math tutor and part sympathetic shoulder. Another is Sam Weston, Noah’s best friend, and Chelsea’s new partner in art class. As Chelsea gets to know these new friends, she gains a better understanding of her true nature and experiences a great deal of personal growth, both academically and emotionally. Free of the toxic influence of her former friends, she’s able to grow into a decent person striving to make up for past mistakes. Sure, she has to deal with persistent bullying from those who refuse to give her a break, and yeah, there are those who still don’t trust that she’s changed (like Noah’s boyfriend, who totally blames her), but at least she’s on the right path. The big question is: what will she say when she finally chooses to speak again? Will it be a slip of the tongue? A profession of love towards the increasingly irresistible Sam? An apology to those she accidentally wronged? Or will the right moment come at an unexpected time? 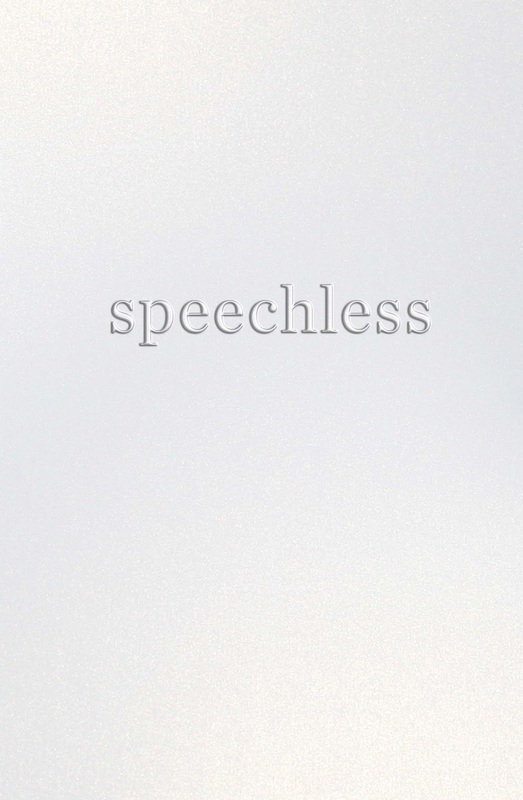 Speechless is a fascinating study of the high school ecosystem. When she voluntarily tanks her own reputation and social standing in order to make good on something she knows is wrong, Chelsea undergoes a powerful journey. It’s only after she becomes a loner that she realizes how badly she’d been influenced by Kristin. (“For instances, why is there so much pink here? I don’t like the color pink. I don’t look good in the color pink. But a third of my closest is devoted to pink sweaters and blouses and skirts. All because Kristin always insisted it was “my color.””) Now an outsider looking in, Chelsea can recognize how poisonous her previous circle of friends was, even as they bully or ignore her. She’s free to make friends with more interesting, more genuine people, like Asha and Sam, the sort who accept her and encourage her to be an individual. And yet, we’ve seen this story before in a hundred different ways. The mighty brought low, forced to associate with freaks and geeks, only to accept the change in status quo and come out of the ordeal as a better person. It’s a popular story. Luckily, Chelsea is a fairly sympathetic character. Misguided at first, careless, short-sighted, but not intentionally mean. And it’s her willingness to do the right thing and make amends which propels her particular story, as she hits rock bottom and claws back out as a changed individual. She’s surrounded by those who are, if not always understanding, at least sympathetic and willing to extend a measure of benefit of the doubt. That helps cushion her during the worst times. Now, you may have noticed that I haven’t spent much time talking about poor Noah, who’s been stuck in the hospital for most of the book. Like I said, it’s not his story. It’s about the girl who accidentally brought trouble down upon him. It’s about his best friend, who’s afraid to go visit him. It’s about his boyfriend, who has his own issues of guilt to work through. And if you ask me, there’s something offputting about a story that uses a gay bashing to fuel the redemptive journey for a thoughtless straight girl. It’s bothersome that the person who suffered the most, from being inadvertently outted to being beaten within an inch of his life, has such a little part to play. There’s a lovely scene near the end involving Noah which made me choke up a little, a moment of victory which I didn’t see coming, but it’s still incidental compared to Chelsea’s story. I guess that, in an era where authors and readers are striving to give queer characters ever more voice and exposure, it feels backwards to use an event like this as a catalyst. It may have fueled Chelsea’s rise and fall, and given Asha and Sam and Andy (the boyfriend) things to do and worry about, but still…. 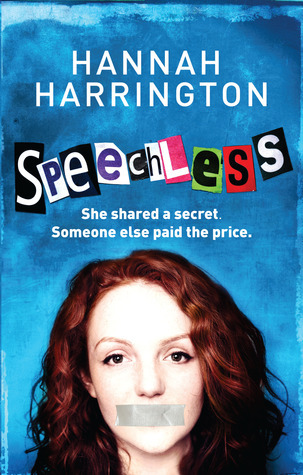 Speechless is a lovely book, with a valid and powerful message. Words hurt. Carelessness can do a lot of damage. It’s never okay to out someone without their permission, and obviously, it’s never acceptable to attack someone for their sexual preferences. Actions have consequences. Bullying and harassment are wrong. And staying silent isn’t always the best answer. But the catalyst at the heart of the plot still bugs me, for all that Harrington presents her queer characters as sympathetic, vibrant people. The book could have been just that much better if Harrington had chosen a different incident with less subtext at play. Or maybe if she’d given Noah a little more agency of his own. I’ll still recommend this book, but with those mild reservations, as otherwise, Harrington’s story is solid and provocative.